Made from extremely durable 100 percent post-consumer tires, the 3-foot rubber parking block holds up to harsh weather and vehicle impact. They flex slightly to lie flat on uneven surfaces making them a great option for older asphalt and gravel. Reflective striping offers maximum nighttime visibility. 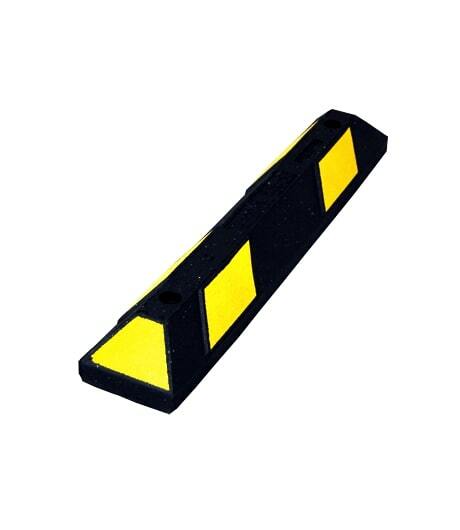 Molded-in colors include black with reflective white or yellow stripes or handicapped blue with white stripes. Two pre-formed mounting holes and all mounting hardware. 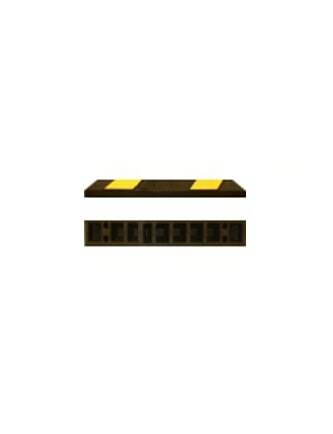 - Our 3' Recycled Rubber Blocks weigh 20 lbs. each, meaning one person can carry the block, put it where you want to install it, and install it yourself with no specialized equipment (a hammer drill does make it go faster). With concrete blocks, the company you buy them from has to deliver them on their truck. They will also need to bring out a piece of machinery to unload the blocks and put them into position for installation. All of this costs money which can make purchasing smaller number of blocks unaffordable. Lastly, when those concrete blocks break from exposure to the elements, you will need that same piece of machinery to get them out of your parking lot. Parking blocks were as listed, described and of good quality, but I don't give anyone a 5, 4.99 does it. Stands up to a truck parking against it and even in hot 100+ temps. Wonderful experience! I was in need of a parking aid for the garage in order to keep from hitting the garage wall. I was able to find exactly what I needed. Perfect! When I ordered I accidentally selected the wrong hardware. I called the next morning and my call was answered on the first ring! Wow! I actually got to talk to someone! Not a silly directory or computer. .. the gentleman who helped me was over the top nice and extremely helpful. I would highly recommend using Traffic Safety Store! Definitely a 5 star experience! Thank u! Quality item, fast shipping at a fair price! Got exactly what I ordered in an expeditious manner! I’m a happy customer! Simple and accurate. The order process was easy. The tracking was accurate. The delivery was as scheduled. I will recommend to others. Excellent Quick Service!! Great service & products!! Smooth and efficient process. 'Easy ordering process, and quick delivery. Product was exactly what I expected. Blue & white car curb - Delivery was so fast. The curb is exactly what I hoped for: a rich shade of blue with the reflective white accent. If I should desire to move to other side of garage, I am free to do that. This product is just perfect for parking the car without hitting anything & get it in far enough to close door & be able to raise lid to get groceries out of trunk. I am so pleased with my purchase. Great service! They made my critical delivery date and kept me up to date along the way. The product was very well packaged and arrived quickly. 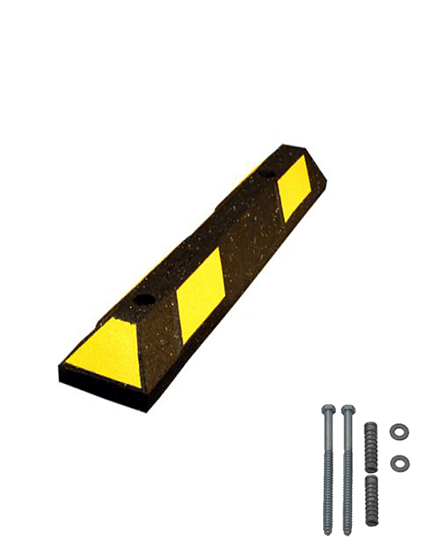 Just What My Husband Wanted I ordered the 36" blue and white garage curb stop for my husband. He is so happy with it. Plus the delivery was fast and on time. Quick shipping. Hassle free ordering. "Order was shipped promptly. Very happy with products. " Quick ship and fit my needs to a tee. Quality parking block! I am going to order another. This is the most professional experience i have had in years. Dave (sales guy) actually apologized to me for something that was not his fault - it was UPS mistake -and volunteered to immediately send me a replacement order if i did not receive it, which it actually did. PS other companies might take note; it is a very nice change to actually have a live person answer the phone rather than being placed on hold and told how important to them i was. Also, someone who spoke fluent english was another plus. The website was very easy to navigate. The rubber bumper was well priced and it was delivered quickly. Every aspect of this transaction was pleasant and positive. Pleasant and informative conversation with Traffic Safety Store staff. They assisted in providing alternatives to our original choice and the upgrade we eventually selected was perfect for our unique situation. Really couldn't ask for more.